Emotional religious doubt presents an enigma. Exceptionally prevalent and sometimes excruciatingly painful, religious doubt is experienced by believers in a wide variety of ways. Distraught sentiments often appear habitually as agonized What if scenarios. Viewed in the context of other forms of doubt, there are many differences. However, the common notions of how to progress toward healing doubt are frequently very wide of the mark, and can be counterproductive. For example, Christian evidences ... See More by themselves rarely halt the pain. This version of uncertainty generally requires some additional attention to emotive elements, which are the most disruptive feature. In Scripture, we discover many questioning believers as well as much prescriptive advice regarding how to deal with emotional hurt. Combined with some exceptionally helpful principles from contemporary Christian counseling, emotional doubt can often be lessened significantly, or even healed. Further, the resulting discipline can be helpful in other areas of the Christian life, as well. 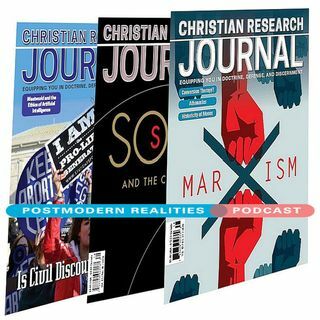 This Postmodern Realities episode is a conversation with JOURNAL author Gary Habermas about his article When Religious Doubt Grows Agonizing.